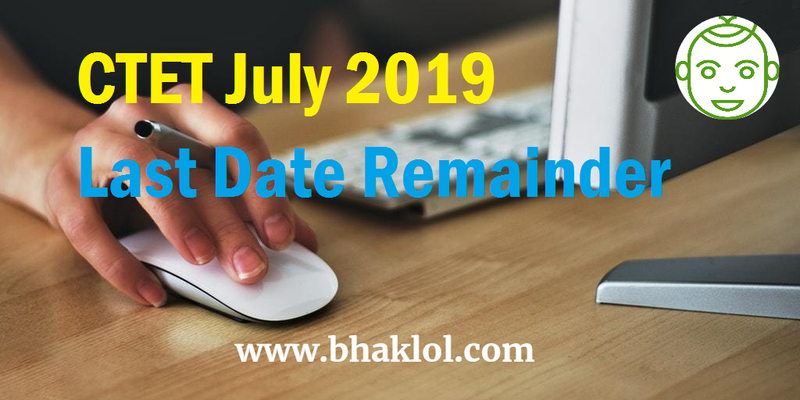 Dear Students, Today(5th March 2019) is the Last Date to Apply Online for CTET July 2019. If still you have not applied for this exam, then you can apply today. Check below CTET July 2019 Online Application Link.